PHOTO: (Left) Co-owners Joey Ryan (left) and Josh Walker deliver globally inspired food and drink at Tu; Josh Walker’s culinary imagination is revealed through innovative dishes, such as pickled clams served with purple and red potatoes. 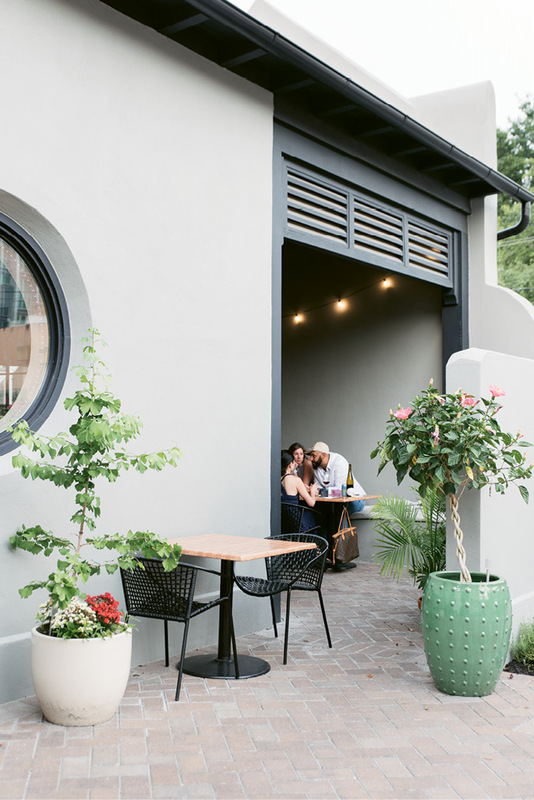 Tu is a blushing bento of edible delights located in a renovated Charleston single house. Transformed by owners Josh Walker, Duolan Walker-Li, and Joey Ryan (who also own Xiao Bao Biscuit), the classic residence has been given new life—now playing host to both intimate dinners and events, with a candy-colored dining room and a tranquil patio set back from bustling Meeting Street. When conceptualizing the space, which opened last November, the team played to their strengths in food, drink, music, and design. Walker employed his food memory—he has a knack for recreating the tastes and flavors he has eaten abroad—in making the menu. Duolan Walker-Li, who also spins as a DJ and has an eye for design, unleashed her inner Betsey Johnson in selecting the restaurant’s décor: she tricked out the bathroom with pinches of neon pink, hung balloon-shaped lanterns over the dining room, and added punchy textiles to the tabletops and the terrazzo floor. And Ryan brought his inspired cocktail combinations; together, the trio scores big time with the Charleston dining scene. PHOTO: On breezy nights, the garage-style door is rolled up for open-air seating off the dining room. Upon entry, diners are beckoned to a lustrous malachite-green bar, where Ryan’s drink creations align with Walker’s fare. Among the unique offerings on the beverage menu, you’ll find yerloo (a rice whiskey), martinis crafted with homemade rye and barley brine, and an intriguing selection of orange wine and dark beers. The well-curated list of wine, offered in small and large pours, nods to the flavors of the kitchen. Ambition and approachability convene in the food menu that offsets the seasonal, textural, and visual. This three-part harmony presents itself in “raw” and “vegetable” side plates, as well as a modest protein selection. While the plates are small, the impression is big, and all can be shared. Each dish is a witness to careful consideration of ingredients, innovative technique, and imaginative assembly. The flavors are robust, the combinations engaging. 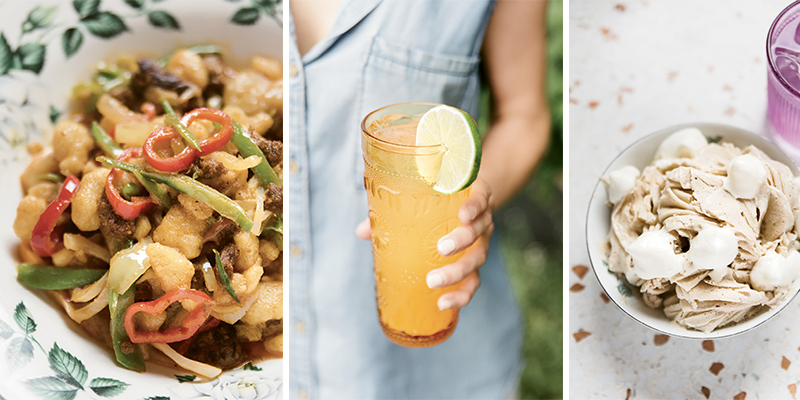 PHOTO: (Above, left to right) Semolina pasta is tossed with tender lamb sausage and green garlic; the Slow Gold cocktail features cachaça (a Brazilian spirit made from sugar cane), guava liqueur, ginger beer, and fresh lime; and delicate folds of strawberry-cheesecake shaved ice. Old school and new school mingle: on a canvas painted with “cheese ice” (grated shards of frozen Manchego or Parmigiano), raw fish, guava niblets, and slivers of habañero; in the saturated flavors of pepperoni and molten provolone wrapped in layered Chinese scallion pastry; in pierogis plumped with kimchi and beef and sparked with horseradish. This kitchen is teaching your taste buds new ways to dance. Flavor pairings such as warm eggplant combined with freekeh (a chewy, nutty staple grain in Middle Eastern cuisine), falafel croutons, charred broccolini, and baba ganoush are surprising and satisfying. On another plate, agua chile arrives as an engaging still life of marbled ribbons of meat soaking in tomato water juices and dotted with bonito (a tuna-like fish) mayo—mediating heat comforted by a mayonnaise tease. The mash-ups are sophisticated renderings of global comfort foods. At play: an asparagus dish, plated in a pool of egg drop soup and served with planks of grilled cacio e pepe bread rained on by that same cheese that sometimes appears frozen. Frascatelli, a simple semolina pasta (think spaetzle with branches), topped with a mixture of lamb sausage, green garlic, tarragon, and fennel pitches perfect balance. PHOTO: Taking its name from the Chinese for “under the heaven,” Tu is a hip new gallery for Charleston dining. Dessert options are simple: taro pie, which arrives somewhat bland and dry, and the wholly refreshing shaved ice. The latter is composed of layers of soft ribbons of ice that are topped by a variety of sauces, possets, or syrups. On one occasion, the dessert came blended with rose essence, local strawberries, and a zingy lemon cream. Another time, the sweet, frozen folds were strawberry-cheesecake flavored. 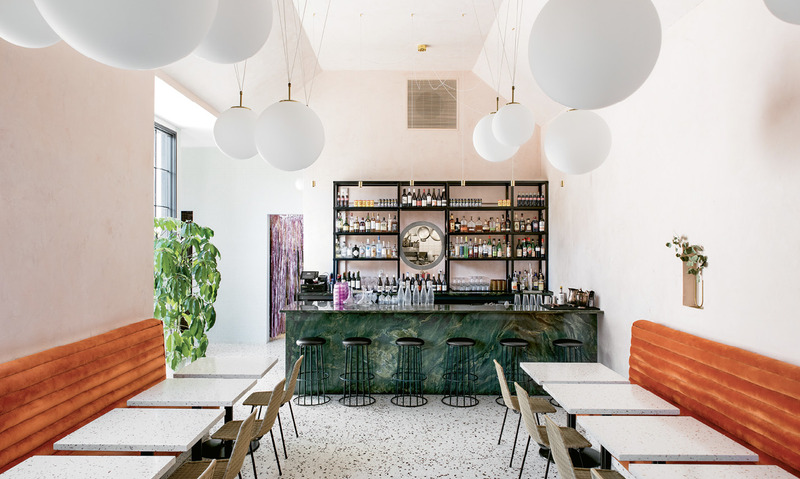 Taking its name from the Chinese for “under the heaven,” Tu is a hip new gallery for Charleston dining, with a menu you fork your way through by sharing, pausing, and admiring the kitchen’s skill and its competence to riff on the roots of global cuisines. The Drawbacks: It’s small, so seats are at a premium; come with an open palate, as there’s no wiggle room in the menu.